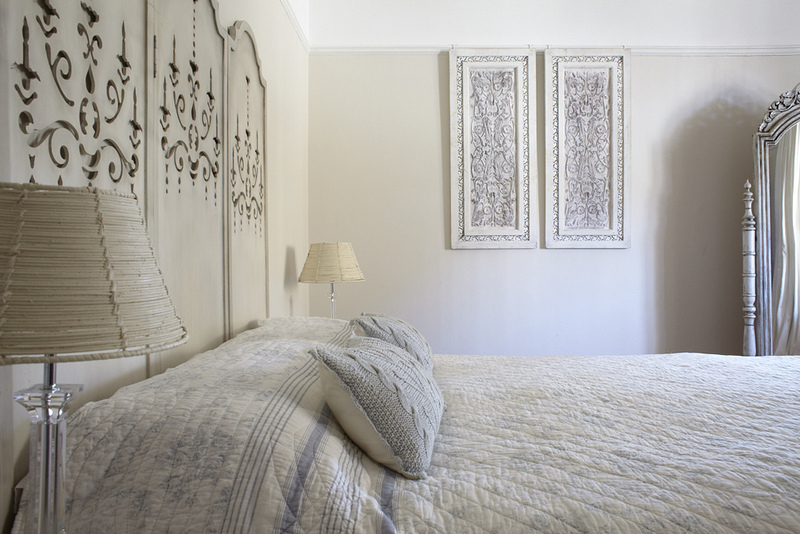 Above is a laser cut wood headboard with chandelier patter from Janine Lockhart. 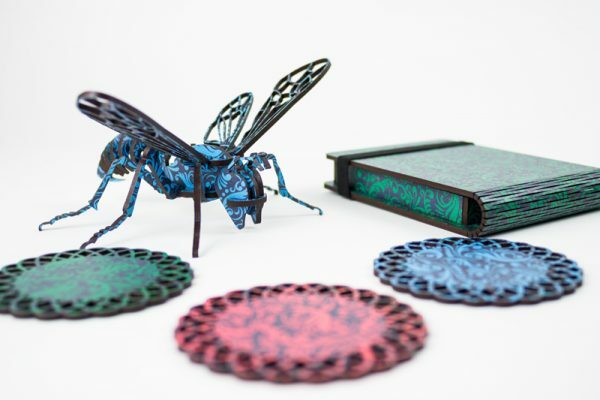 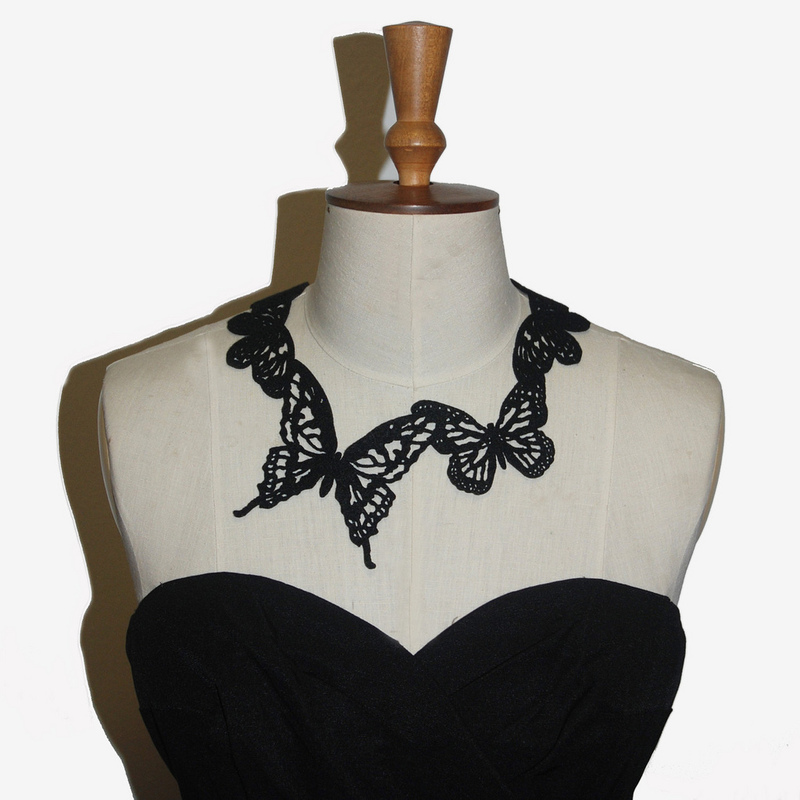 Above is a laser cut felt butterfly necklace from Jon Timmis. 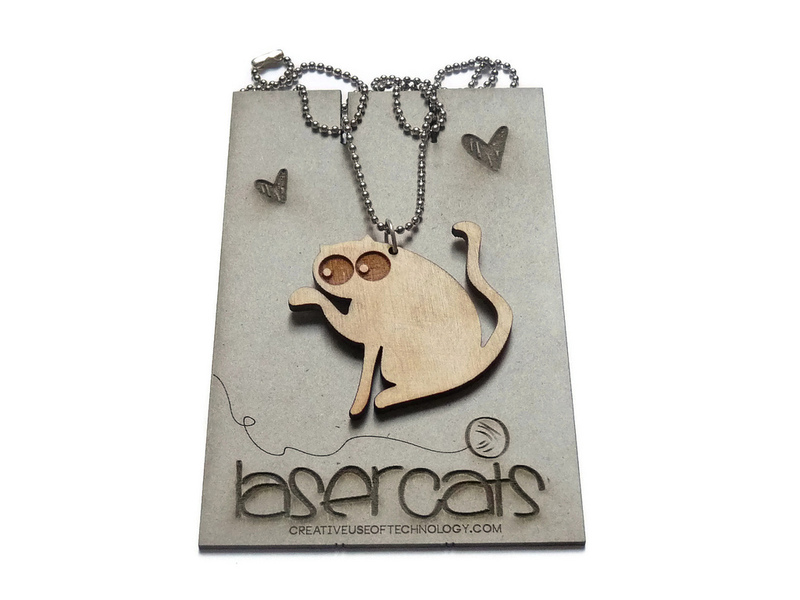 Above is a laser cut and etched wooden necklace from Creative Use of Technology. 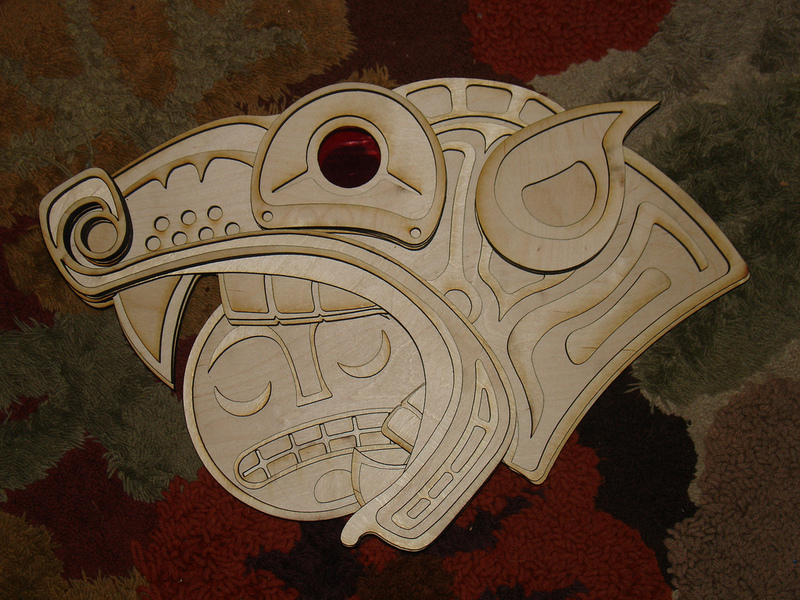 Above is a laser cut wood piece from SevenCubed. 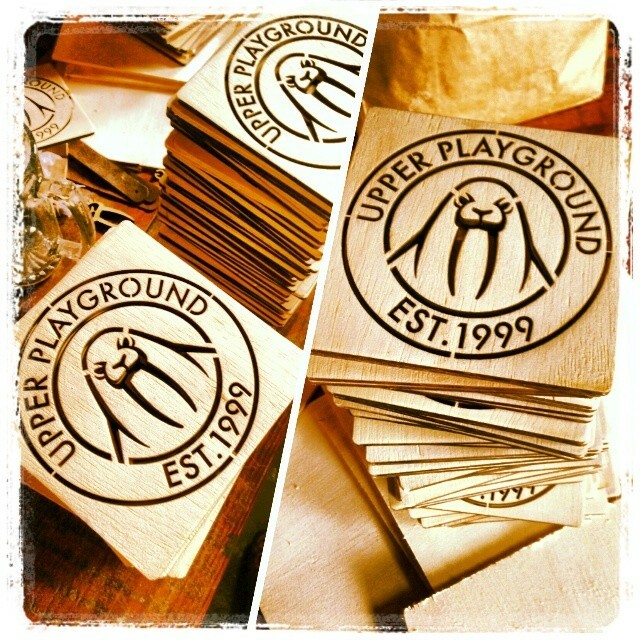 Above are laser cut wood stencil from Upper Playground. 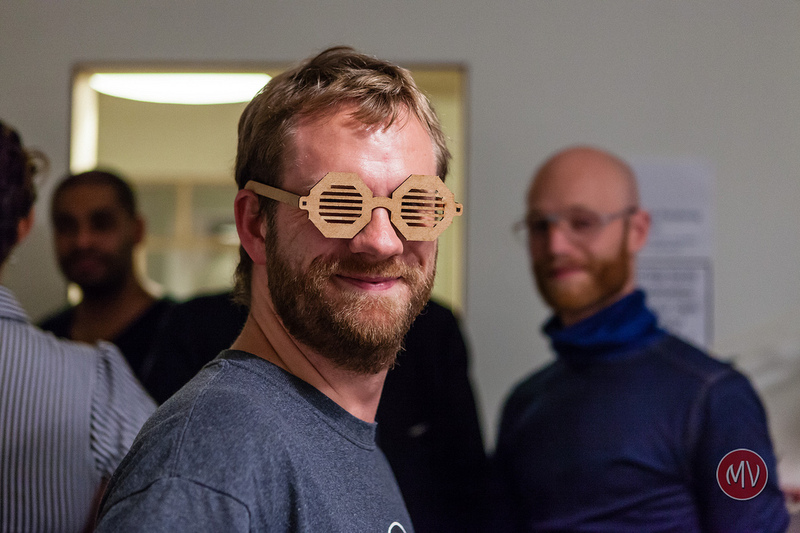 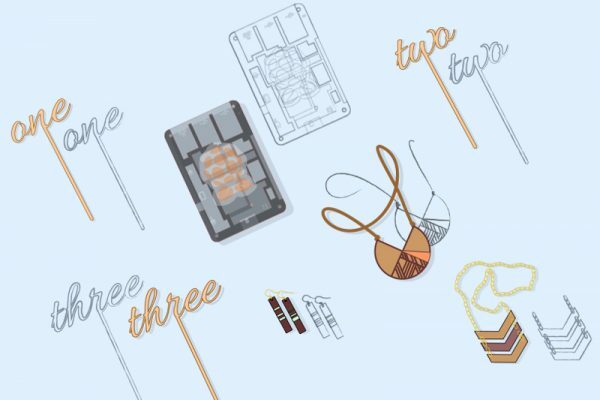 Above are laser cut mdf glasses from Idemo Lab.